Developing high-performance bifunctional catalysts toward hydrogen evolution reaction (HER) and oxygen evolution reaction (OER) is essential to enhance water splitting efficiency for large-scale hydrogen production. Neither noble metal Pt nor transition metal compounds show satisfactory performances for both HER and OER simultaneously. Here, we prepared a three-dimensional Pt-Ni3Se2@NiOOH/NF (PNOF) hybrid catalyst via in-situ growth strategy. Benefitting from the self-supported structure and oxygen vacancies on the surface of NiOOH nanosheets, the PNOF electrode shows remarkably catalytic performance for dual HER and OER. The overall water electrolyzer using PNOF as anode and cathode can achieve a current density of 10 mA cm-2 at a low voltage of 1.52 V with excellent long-term stability, which is superior to precious metal catalysts of Pt/C and Ir/C. This study provides a promising strategy for preparing bifunctional catalysts with high performance. Xuerong Zheng is a PhD student in the School of Materials Science and Engineering at Tianjin University. His recent research interest focuses on the development of electrochemical metallurgy methods for preparing micro/nanostructured materials for electrochemical and electrocatalysis applications. Yida Deng is a Professor in the School of Materials Science and Engineering, Tianjin University. He received his PhD degree from Shanghai Jiao Tong University in 2006. His research interest includes metal and metal oxide nanostructures for electrochemical and energy applications. 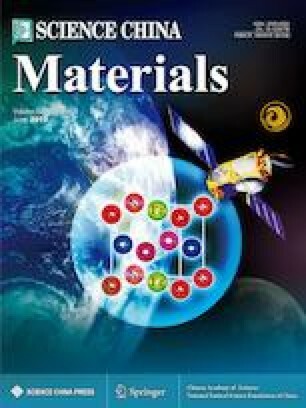 Supplementary material is available for this article at https://doi.org/10.1007/s40843-019-9413-5 and is accessible for authorized users. 制备具有高效氢析出和氧析出双功能的电催化剂对提高大 规模电解水制氢效率至关重要. 迄金为止, 无论是贵金属还是过渡 金属化合物都未能达到令人满意的效果. 本文采用原位化学反应 法制备了三维枝状Pt-Ni3Se2@NiOOH/NF(PNOF)纳米阵列. 泡沫 镍作为镍源可有效减少界面电阻的影响, 表面NiOOH含有大量氧 空位, 这些有效措施使PNOF催化剂同时具有优异的氢析出和氧析 出性能. 同时作为电解水制氢的阴极和阳极, PNOF 催化剂全解水 电位在1.52 V即可实现10 mA cm−2的电流密度, 并具有良好的稳定 性. 这项工作为开发新型全解水催化剂提供了一种有效的方法. This work was supported by the National Natural Science Foundation of China (51804216, 51472178 and U1601216), Tianjin Natural Science Foundation (16JCYBJC17600) and Shen-zhen Science and Technology Foundation (JCYJ20170307145703486). The authors would also like to express gratitude to Ms. Jinfeng Zhang and Ms. Jing Mao for their assistance in TEM and EDS analysis, respectively.